One of the most common issues our members run into while creating products for their stores has to do with image requirements. Too often, people submit artwork that does not meet the requirements for the product they want printed. 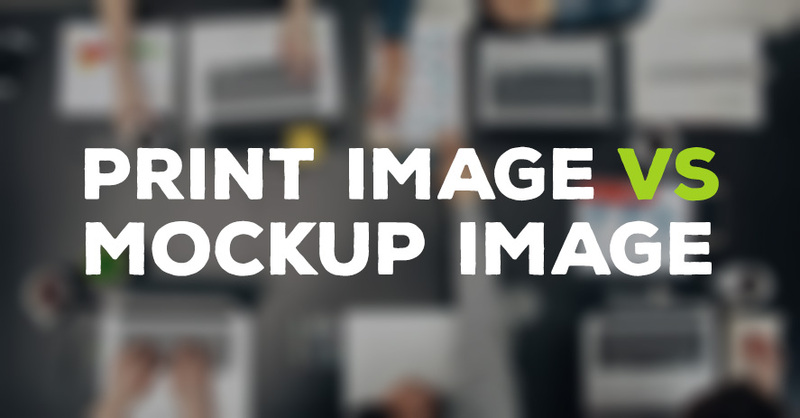 One of the most simple mistakes, but one that we see happen over and over again, has to do with the difference between the print image we ask for and the mockup image we ask for. We hope this blog article will help clear things up! When you upload a product, you will be asked to choose your "print image" for that specific product. Your print image, and your print image alone, is the file we send to our printers to create your products. Whatever size this image is, that is the size it will be printed at. Your print image is your design, your art. The exact file you want printed on your products, just as it is. We don't use your print files for anything other than printing. 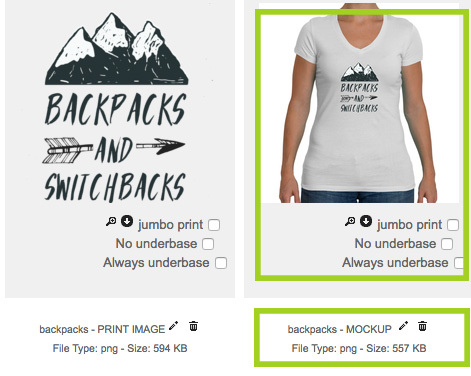 When you upload a product, you will be asked to choose your "mockup image" for that specific product. The main reason we ask for a mockup file when you add a product is so that we can see where you want your design placed. 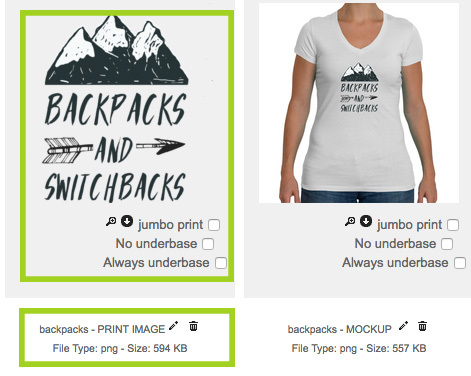 You can also use our mockup generator to create images to use in your shop to display your designs on our products. Mockup files are NOT intended to act as a resizing tool. If you shrink down your images, or make it larger in the mockup generator, that resize action will NOT be applied to your final printed design. BONUS TIP Name your files when you upload them to be able to easily identify and separate your print images from your mockup images. This will save you loads of time when you are adding products. If you have any further questions, or would like to suggest a tutorial or informational blog about any subject, let us know in the comments down below!